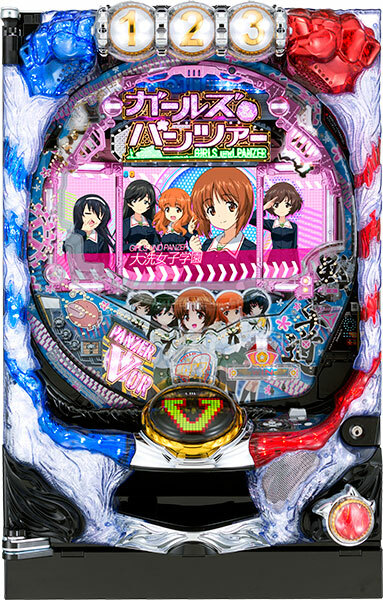 Today, we will be introducing a pachinko machine of a highly popular animation, “GIRLS und PANZER”. Although its movie was revealed at the end of last year, it is currently making a big hit. Just like its pachislot version, player gets to enjoy “Senshado (Tankery)” during the jackpot play. However, player also gets to choose the school as well, meaning player can set up a dream match no one has ever seen in the original work!! Its dynamic Senshado battle by 3D computer graphics and various renditions unique only to the pachinko machine is worth seeing!! Its expected date of debut is this coming April. Wait for it if you are a tank fan.